The Predator is the fourth entry in the sci-fi/action series. This installment is directed and co-written by Shane Black who returns to the franchise after a having a supporting role as Hawkins in the 1987 original. How did I feel about it? I was hopeful that with Black at the helm, there would some bit of the original film in its DNA (pun intended, you’ll understand if and when you see it). I’m not familiar with Black as a director, his only directorial work I’ve seen prior to this was Iron Man 3. I’m more used to seeing films Black has written (Lethal Weapon, Long KISS Goodnight, The Last Boy Scout). 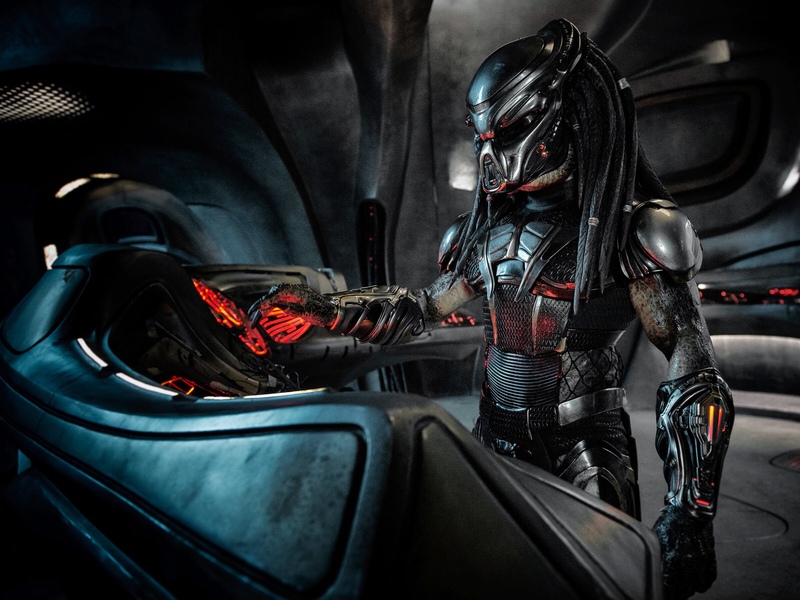 The thing about The Predator is that Black has picked 20 lanes to drive the series mythology into new directions, but it doesn’t ride in any lane well. So many paths come out of the main story. It’s a bit scattershot. I do know that Black does incorporate comedy elements into his work and The Predator is no exception. It is the most comedic Predator film, but most of the time the humor comes across like his character Hawkins in the original. It’s funny, but it’s not funny. A positive about the film is that once the Predator is on the loose, it’s a ton of fun. There’s a b-movie charm to The Predator that invokes gory sci-fi of the 1980s. It’s nowhere as smart as it’s 3 predecessors (yes I said 3! Predator 2 is a fine movie) and it doesn’t really want to be, which is fine, but it needed to be somewhat more focused. It’s fine for being this type of movie, but for a film in the Predator series which has quite a bit of respect behind it, it’s lacking. The Predator is a mixed bag that does warrant its mixed reception. As someone who grew up on 80s era cheaply made films, this does try to mimic that aesthetic, but between the humor that doesn’t always stick the landing and the unfocused plotlines, if Shane Black is to continue with the franchise, he needs a bit more work to successfully merge his stylings to the concept. I have no problem watching this again, but to me it does exonerate all the complaints about Predator 2 and cement that as a fine sequel to a great film. The Predator is still entertaining. Not top tier popcorn fun, but fun nevertheless. Hate to say it but I actually missed seeing this. I’m such a huge fan of the original but was a little fearful about this one. Sounds like there is some fun to be had. It’s a pure mixed bag. Everything about it that works also doesn’t at the same time. Can Predator work as an action comedy? Yes, but this doesn’t always work. It’s interesting that when dealing with crime-comedy as his subject Shane Black is praised, but not so much on his genre work.